[Miami, FL] [September 18, 2012] – Rochelle Oliver Publications and Productions, LLC., successfully produced a second Viewer Created Ad Message for cable network Current TV. The 30-second spot – titled, “Dr. 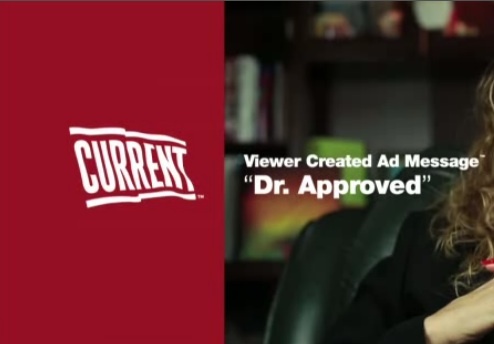 Approved” – was developed for the Capella University Matter Campaign; it aired nationally on Tuesday, Sept. 18, 2012. In this VCAM, Dr. Lisa Ortigara Crego, a Psychotherapist and Certified Eating Disorder Specialist, who practices in Broward, FL. expresses her gratitude to Capella University for making her purpose possible. The testimonial-style spot conveys Crego’s passion for making a difference. Isis Caro, who plays the role of the patient, has a Master’s in Social Work and is a dependency case manager in Palm Beach County. Prior to this VCAM, ROPP created a 55-second spot for the network’s ad client, Hershey’s, which aired March 26, 2012. “One of the things I loved most about this project was that I was able to create real entertaining content using my journalism skills, which is the very foundation of what my company is about,” Rochelle Oliver said following the announcement released by Current TV. Rochelle Oliver wrote, produced and directed the VCAM; Darryl Campbell was the cinematographer; Kevin Spencer did the makeup, Isis Caro played the role of the patient, and Cory Rittenhouse served as the production assistant. In 2011, Oliver, who is a journalist and board member of the South Florida Black Journalists Association, launched Rochelle Oliver Publications and Productions, LLC, to create entertaining content with journalistic integrity.